Don’t know why, but somehow I cannot build a nice airport when playing in Sandbox mode. I somehow must start small and grow step-by-step to focus on the details. 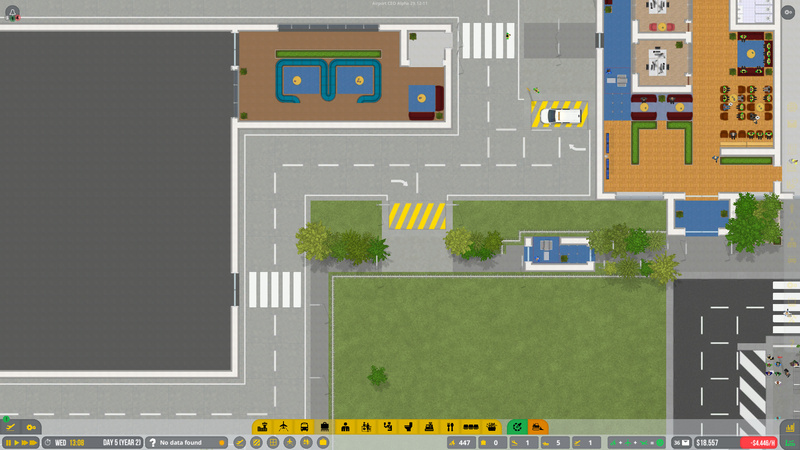 Some days ago I started a new airport and just want to share some impressions how the airport actually develops. After building a couple of GA and small commercial stands, I already added a longer runway and some medium commercial stands. 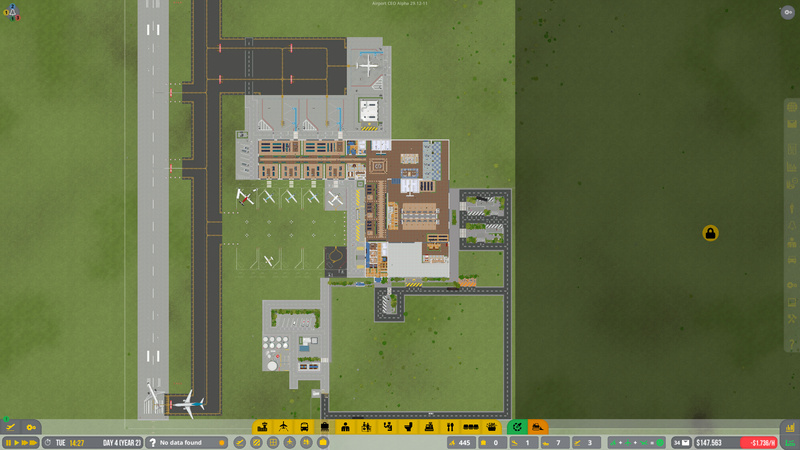 There is still a lot of grass, way too much if you ask me You can already see my “regional”-wing on the left side of the terminal building. 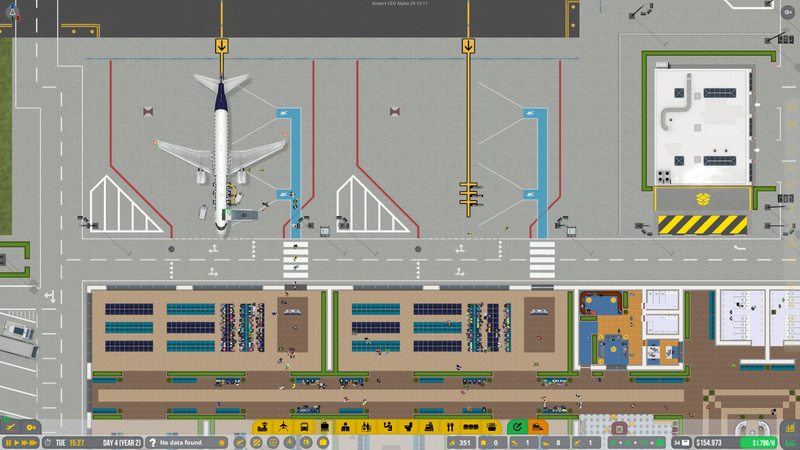 The plan is to extend the terminal to the North with more medium stands that will also feature jetways. Here you can see my check-in area on the right with some space for the baggage belts later on. 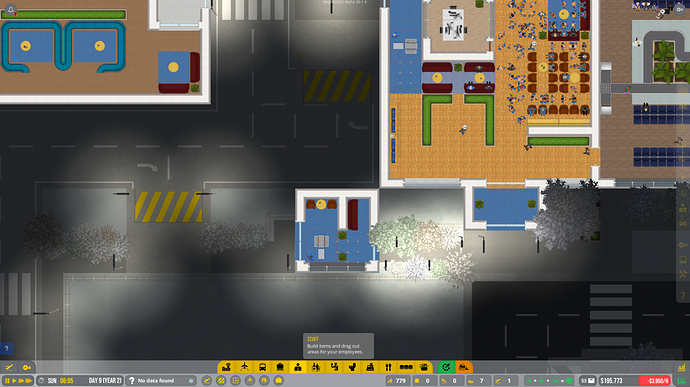 On the left is my bus-boarding area. 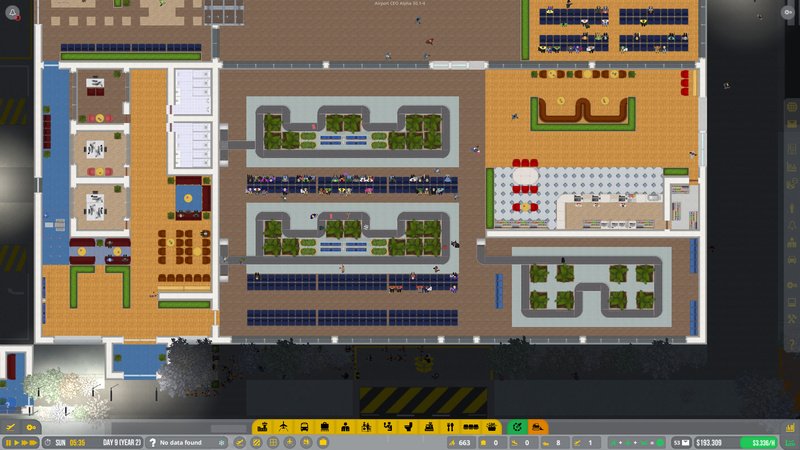 I have it as a dedicated area to ensure pax have enough space during the peak periods. The medium stands for flights with a maximum of 120-130 passengers. Later on these stands will be reserved for aircraft up to the Embraer 190. 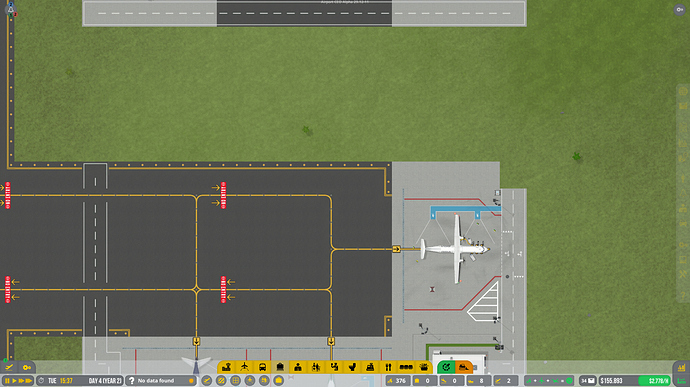 For now, and in order to make enough money, yes I will need to put some 737-800 here as well with 160 passengers. On the top you there are already some roads built for some more medium sized stands. On the right I will later build a terminal extension. The taxiway lines are so far apart that two aircraft of the size of an Airbus A320 or a Boeing 737 can taxi in parallel in both directions. The problem is that some steps are really exhausting. I mean I wanna do every little details but when I start it, after a time I just say “screw it” and I quit. That’s why we defintely need copy paste tool and multi selectable objects feature. I mean, for me, there is no bigger pain than building check-in desk queues. A copy paste tool would be lovely. The same thing I did playing Cities: Skyline yesterday… trust me, after the multiple floor update (with all the grid changes) we’ll look at a copy paste tool properly! 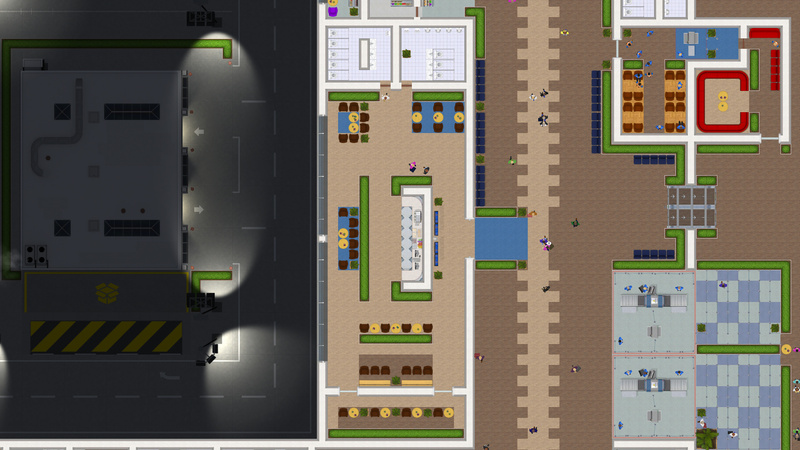 F4 removes the interface of Airport CEO. Me and 10 more people (at the moment) liked it We also can’t wait for multiple options selection to be able to do 20 things at 1 times instead of doing 1 thing at 20 times. 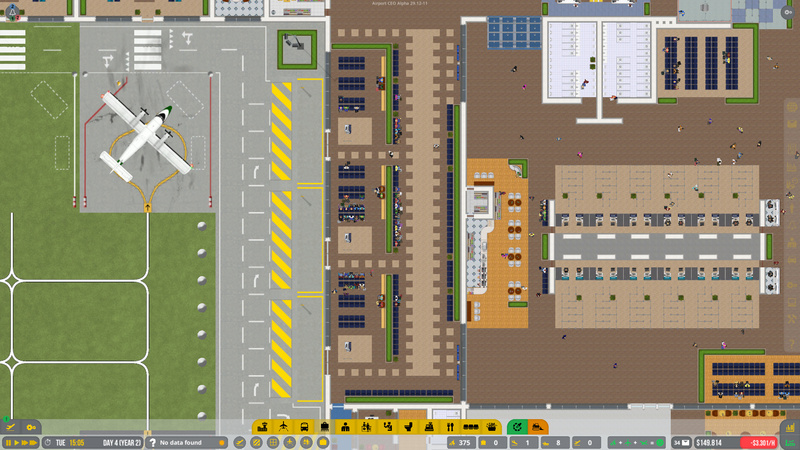 Now that the airport is growing, I need to make space for a decent baggage sorting hall. As runway space is limited and GA aircraft are blocking some of it, I decided it was time to go for the GA stands in the South. There will be new ones later on, but for now, let’s focus on commercial traffic. It is connected via the main terminal and features its own staff room. There is also a dedicated security check-point only for staff through which staff can go to the Service Car stop, the baggage hall and the fuel and equipment area. 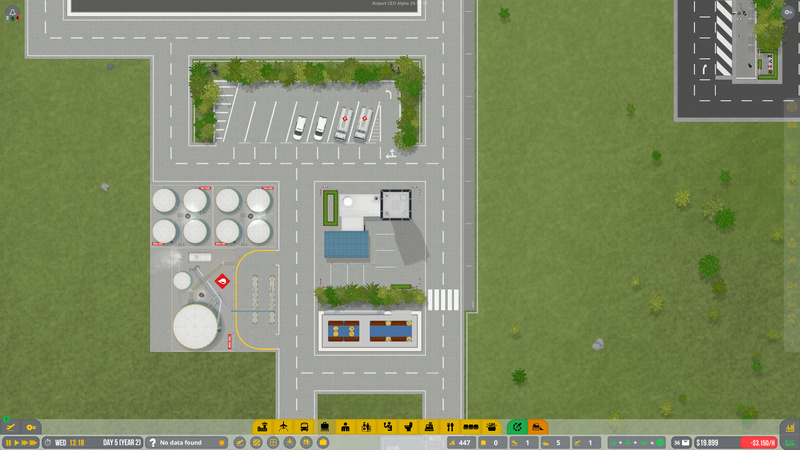 This is the primary fuel and equipment area. It is conveniently located close to the baggage center and also features its own staff room for construction workers. A close-up of the baggage hall , the adjacent restaurant and the primary staff room. Looking smart, however, personally I’d put some floor tiles beneath the windows as well. Small security screening building as an entrance to the airside infrastructure area and equipment parking. 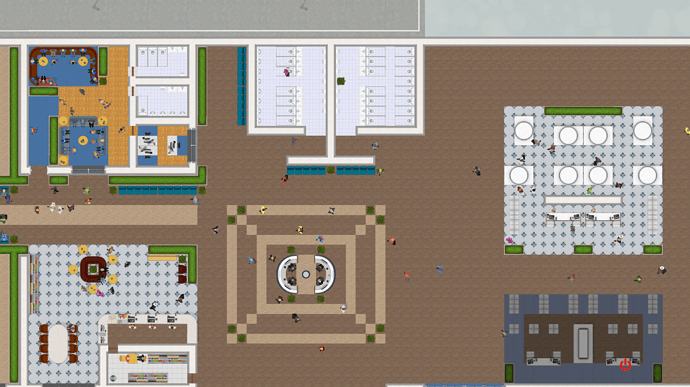 The central “Airport Plaza” from where the west wing and the north wing extend. Although lounges have not yet been implemented, this is a special seating area with a small serve-yourself kitchen. The small room at the bottom is a “sleeping room”. this is a really beautiful airport. i’m gonna shamelessly take some design inspirations from you!